This category will include Tractors and Implements of John Deere, Case-IH, International, Farmall, Case, Oliver, MM, White, A/C, Agco, Massey Ferguson. Ford, New Holland, Cockshutt, Steiger and more. The items listed here are all 1/32 unless otherwise noted. 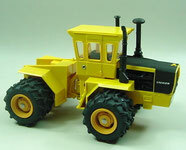 Most will be die-cast and made by companies like Ertl, SpecCast, JLE Scale Models and more. Most are retired models and are all from a smoke free environment. 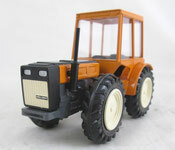 NZG Art.156 David Brown 1412 Hydro-Shift tractor in 1/25 (6 in long) scale diecast. Made in W. Germany New in with Box. Tractor has a couple of minor paint chips and the box has some shelf wear. 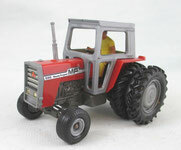 Ertl Stk#641 Case-IH 9150 Four Wheel Drive tractor in 1/32 scale Diecast. Ages: 3+ Dated 1989 New in box, Opened only for photos. 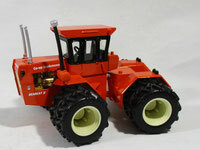 Ertl Stk# 2020DA Steiger Bearcat Co-Op Tractor in 1/32 scale. 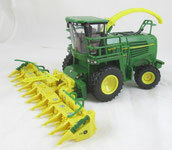 Made for Toy Farmer in 2003. 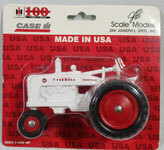 The model diecast model Articulates with rubber tires. New in Nice Box.